“Five years ago, I was diagnosed with stage 3 cancer; that was a terrible day. I watched what I ate, was an avid cyclist and heavily into Pilates; none of that mattered. I was fortunate to have a great team of doctors who devised a treatment plan based on research from others before me. I was extremely lucky – my first round of chemotherapy and radiation eliminated my cancer. Then, I had another bit of good fortune. In the past, even though a tumor was gone, the affected area would still be removed. However, recent studies have shown that no surgery in these cases with an additional round of chemotherapy was also effective. So that is exactly what I did – no surgery. I truly believe I would not be where I am today without the benefit of the research that happened before my cancer treatment began. 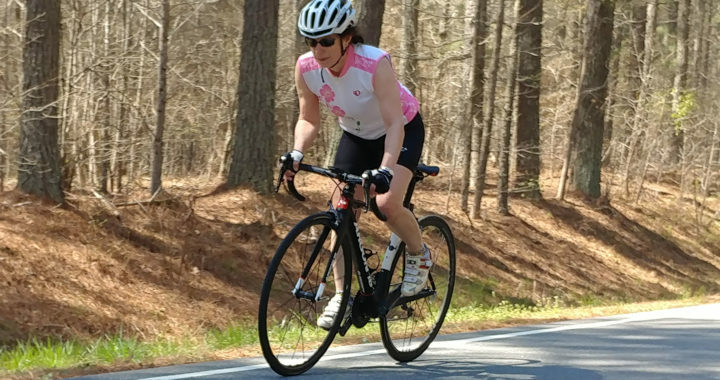 You can join Lisa in her mission to fund extraordinary cancer research by registering for the Victory Ride on Saturday, May 18.